British Liberal Quakerism appears to be in a state of radical transition between a complex past and an uncertain future. Yet, it is at least arguable, that the future is so uncertain precisely because Liberal Friends exist in a state of increasing unease about their past. ‘God’, ‘Christianity’ and ‘Christ’ seem to act as uncomfortable presences within the Society at large, like a cluster of disturbing ghosts stalking some old corridor rattling their chains. As a consequence, our Society no longer assumes a straightforward identification with the life and teachings of Jesus. This is of course a completely understandable development. The matrix in which British Friends operate is a pluralistic and secular one. And since our faith is not isolated from our lives of work, family and leisure, this is having a great impact on our Meetings. People now come to us from diverse backgrounds and cultures seeking succour from us as a spiritual community. Many have fled from authoritarian or hierarchical expressions of Christian church and theology. Others have come from different faith-traditions; Jewish, Buddhist, Pagan, seeking shelter and sustenance. For such folk, Jesus is probably the last person they want to talk about. He is a symbol of all they have run away from; suffocating dogma, unflinching moralising, and institutional naval-gazing. Such seekers may come to meeting with the impression that the reason why Liberal Quakerism is ‘liberal’ is because it has deviated from historic Christianity. Yet, I would argue that the ‘liberal’ character of modern British Quakerism; its diversity, its inclusivity, is not a deviation, but an echo of George Fox’s provocative Christian revelation that Jesus ‘had come to teach the people Himself’. How so? British Quakers are a gathering place for many paths because we are fundamentally nourished by a story and a heritage, which calls for the unity of the world, and the unity of creation. Yet, this call is not grounded in some generic ‘John Lennon-like humanism‘ but has a particular shape. It subsists, not in grand utopian plans, much less the dismissal of heaven, but in peace, humility, and the renunciation of power. It is a faith with a face, the face of Christ. A brief survey of the early writings of Friends illustrates that the picture of Jesus they most cherished, was undoubtedly the one provided by John’s Gospel. The Fourth Gospel, in its majestic mysticism, gave the first generation of Quakers a rich vocabulary to describe their inward experiences. John’s Christ was (according to the Gospel’s epic prologue) a pre-existent manifestation of God’s innermost creativity. John’s testament makes the startling claim that the founder of Christianity was nothing less than the absolute humanisation of the energy which had brought the cosmos into being, a force, which John refers to as the Logos (λόγος). Yet, the Logos as John understood it, was not his innovation alone, but was first systematised by the Stoic philosophers and their intellectual contemporaries. A cardinal doctrine of Classical Stoicism was a belief in something akin to a’ divine fire’ which animated and ordered the whole of creation. In a self-conscious imitation of this Stoic imagery, yet drawing upon the Hebrew scriptures, John depicts Jesus as that primordial ‘light’, which ‘shines in the darkness’, (Jn.1:3). This metaphor not only calls to mind a gentler adaptation of the Stoic ‘divine fire’ but is also clearly an echo of God’s first act of creation in Genesis, ‘And God said, “Let there be light,” and there was light’ (NIV Gen.1:3). To be called to faith by the Logos, was to be inducted into a cosmic drama of redemption and grace. In this vein, for early Friends, ‘being a Christian‘, was more than simply assenting to theological abstracts. To live as a ‘Friend of the Truth’ was to experience directly the claim that God loves the universe perpetually in Christ. In this respect, ‘Quaker’ Christianity is more than a theory or philosophy of things, but a practical relationship with a living person. To walk with Jesus of Nazareth meant to live with the same mantle upon one’s shoulders, to teach, to heal, and to restore. A God of action brought others to Himself through action. According to this Quaker/Christian logic, we cannot live by Creeds alone. We cannot be a Christian by virtue of some shared technical vocabulary or outward set of rituals, but only by the inward experience of the Living Presence. Consequently, ‘living in Christ’ is an ongoing process of listening, knowing, and, acting. It cannot be set in stone (or text) any more than a whole life can be encompassed by a single photograph. As Jesus comforts his disciples: ‘I still have much to tell you, but you cannot yet bear to hear it. However, when the Spirit of truth comes, He will guide you into all truth. For He will not speak on His own, but He will speak what He hears, and He will declare to you what is to come’ (NIV Jn.16:12-13). These are the roots which nourish the ‘true vine’ (NIV Jn.15:5), ever-growing, ever-sheltering. Yet, this plant needs to be protected from other appealing competitors in the Quaker garden. Indeed, if we fail to protect our tree of shelter, we will endanger the invitation of radical welcome at the very heart of our meetings. Some pessimists within the British Quaker fold fear that this has happened already. By obscuring this distinctive form of Christianity, some Friends fear a lacklustre Quaker future, one shorn of a deep rooted and shared spirituality. In this regard, Ben Pink Dandelion’s Swarthmore Lecture Open for transformation: Being Quaker (2014) bears careful re-reading. But why should we worry? Surely if people come to Meeting and continue to ‘get something out of it’, what exactly is the problem?’ What’s wrong with Meeting as therapy, self-help, or whatever else people want it to be? The problem is that such models exchange the depth of Quaker discipline for something alien to its spiritual ethos. Consider the thorny issues of belonging and diversity. There is a counterfeit liberalism which says that the radical acceptance offered by the Quaker/Christian story can be reduced to bland tolerance, or managed pluralism, which co-exists, but never seems to love. While such a formula seems cursorily attractive (who wants their toes stepped on? ), such a community is unlikely to have deep and long-lasting spiritual experiences. Much of our contemporary culture conditions us to want comfortable feel-good bubbles, not the messiness that long-term commitment entails. But, without journeying together in good times and bad, our Meeting may offer us many ‘spiritual highs’, but few sustained insights. Are we satisfied by that prospect? This is where the language of Quaker Christianity could be of help in strengthening our Quaker discipline more generally. British Quakers rarely talk about the Cross today, but perhaps we should. For in the midst of this loaded, often distressing symbol, is the promise that within brokenness, pain, and, suffering, new spiritual life waits for us. In this cruciform model, we are not called to the New Age therapeutic tropes of positive adjustment or ‘making our own reality’, but to the hard truth that God is with us, even when we feel low or abandoned, or (shock horror), when we don’t want God . If we understand our spiritual life in this way, Meeting no-longer becomes a space to service ‘my immediate spiritual needs’, but a place where my wounded self can be uncovered for deep healing. This is a challenge for all of us, and we need our Quaker community to be there when we struggle to come to terms with the demands of the spiritual life. What else might be getting in our way? To apply William Penn’s phrase, if Liberal Quakerism often lacks ‘a cross’, it also frequently lacks a ‘crown’. Alongside the promise of Meeting as a cheerful, non-confrontational bubble, there is the equally alluring suggestion that Quakerism needs no guiding story, no ultimate goal, to govern its voyage. Yet, if we are being asked to work on ‘pure experience’ or ‘what just feels right’, how are we to know what to value in this raw, unmediated reality? How do we know what to keep and what to reject? What are our pointers? What are our tools? Jesus used the image of the treasure hidden in the field to signify what the search for the Kingdom of God might be like (Matt. 13:44-46). Does contemporary British Quakerism have the resources (the metal-detector) to effectively conduct the search? Liberal Quakerism’s favourite metaphor for the spiritual life is the journey. But where are we going? And do we have the right provisions for the trip? To answer these questions, we need a map and the right food to nourish us along the way. But which map to choose? Shall we have thin gruel or a hearty broth? That depends how long we think we’re going to be away, and whether we think any food will be provided when (and if) we get there. The answers to these difficult questions are hidden in plain sight. The story, the logic, that should govern us as a pilgrim people, is to be found in the fundamental vocabulary we use as Quakers. “Testimony” (Jn. 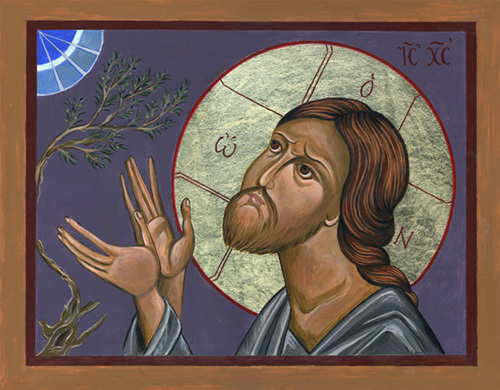 1:7-8), “the Light” (Jn.1:7-8), Peace (Phil. 4:7: Rom. 16:20: Heb. 13:20-21), all point us back to the ‘living waters‘ which once made its home among us in the life of Jesus (Jn.1:14). We should acknowledge, in order to keep our Quakerism whole, that our practice and language, derive from deep Christian roots. And with that acknowledgement, we should delve anew into this inheritance, seeking if we can, to make this legacy live for us in the present moment. I can already sense the twitches of acute unease among Friends who feel that what is being proposed here is nothing short of a ‘return to Christian orthodoxy’. But this is not the case. This is not a call for theological purity, or conformity of belief. Liberal Friends drink from many wells, and let that liberality continue. Let us never forget that Wisdom comes from many quarters. Indeed, as the Gospel reminds us: “I have other sheep that are not of this sheep pen. I must bring them also. They too will listen to my voice, and there shall be one flock and one shepherd” (NIV Jn.10:16). What is being asked for in talk of roots is a recovery of the things that can give our individual spiritual journeys coherence. Instead of restricting us, this sense of a shared direction will aid us in deepening our love and care for one another. We may find riches within Zen practice, the call of wild nature, or the rhythms of Jewish prayer. The point is not to cast away our past (or the Wisdom which lies beyond Christianity), but to view our lives through the lens of a larger story, a core, a centre, which keeps us going when other wells run dry along the path. Speaking for myself, the shape of my spiritual biography has been deeply enriched by contemporary earth-based spiritualities, either indigenous traditions, or re-imagined constructions. Sitting on my bookshelf alongside Quaker Faith and Practice, one can find Graham Harvey, Emma Restall Orr, and Starhawk. Nonetheless, because I am a walker in the Quaker Way, anything that I bring from outside is not about me and ‘my insights’ or identity, but should exist in the service, and for the benefit of the Quaker community. As Paul puts it in Ephesians: ‘Let no unwholesome talk come out of your mouths, but only what is helpful for building up the one in need and bringing grace to those who listen’ (4:29). This is the key point. Every wanderer needs a home. Let’s be at home as Quakers, in the Quaker house, with all its treasures, memories, and, amenities. We can bring much-needed supplies in, but only if it supports the ongoing flourishing of the whole Quaker household. We do not have the spiritual luxury of bringing food in, then labelling it (in the manner of shared student houses everywhere), “mine”. We must therefore select and sift our insights with care, because we will be held accountable for what we choose in the long-run. The question always needs to be asked: Does my spiritual walk build others up? Does it communicate grace? Or is my walk really about egoistically asserting myself? Just pause for a moment and consider how radical, how breath-taking, such a claim is. Central to the structure of the original Quaker revelation was the proclamation that hell and evil had been vanquished by the love of God, through Jesus (Matt. 6:17-19). As Fox expresses this reality in the famous conversion episode from his Journal: ‘I saw, also, that there was an ocean of darkness and death; but an infinite ocean of light and love, which flowed over the ocean of darkness. In that also I saw the infinite love of God, and I had great openings (QF&P 19:19.03). To be a Quaker in this mould, meant to affirm the universal salvation of all creatures, through in the outward work of Jesus, and the Inward light that bore his name and identity. Doubtless, these are uncomfortable images for those who have felt abused and hurt by pop theologies and fundamentalisms of all kinds. But these are our images as Friends. They belong to our primary language, bound to our very way of seeing the world as Quakers. To let go of them would be to let go parts of ourselves. We should not censor or discard them in the name of ‘liberalism’ just because other Christians have misused them. The answer to theological abuse is not the jettisoning of the Christian tradition. Rather, it is learning anew to speak Christian in Quaker terms. In this act of reclaiming a deep healing can be found, not only for those who have been hurt by this language, but for those whom the words of Christian faith often feel repetitive and stale. Let’s possess our language again, rather than leave it to fundamentalist theologies. Christianity is more than condemnatory ‘Churchianity’, and the Quaker Way proves it. This is our Good News. Let’s share it. “I have other sheep that are not of this sheep pen. I must bring them also. They too will listen to my voice, and there shall be one flock and one shepherd” (NIV Jn.10:16) This passage does not argue for Wisdom coming from many quarters as you assert. Rather it points to one source, the voice of Christ. Where the voice of Christ is heard and followed there is Wisdom and there is Life. Where his voice is not heard and followed, there is only deception and death.